In order to improve the browsing experience and to restrict third-party interventions, Google is currently upgrading Chrome with the ability to block website redirects. This latest development will become available as a part of Chrome 64, which is currently available in the Canary and Dev channels, and will be available to the masses sometime in early 2018. However, early access to the protection has been spotted on the latest public release. Google has planned three different protection layers to overcome unwanted behavior in Chrome. Firstly, the search giant will put a stop on ads that automatically navigate users to a new page for the sake of paid content. The browser will show a toolbar on top to highlight the blocking of the redirect action. Notably, this will not impact the experience if the users had interacted with the redirected frame. Secondly, Google is set to block a redirection that brings an unwanted page alongside opening the desired destination in a new tab. The company is calling this type of behaviour as a "circumvention of Chrome's pop-up blocker" and is planning to add its prevention in Chrome 65. The browser will not just detect the redirect but will also trigger an info bar, and prevent the main tab from being redirected. In Addition Google is aiming to limit "abusive experiences" that send users to unintended destinations and are disguised as video playback buttons, site controls or transparent overlays that open new tabs or windows by silently capturing clicks. 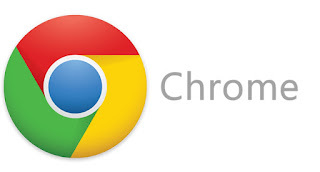 "Together these protections will dramatically improve users' web browsing experiences while still allowing them access to all that the web has to offer," said Ryan Schoen, product manager for Chrome, in a blog post. While Google is yet to roll out the new ways to protect you from different website redirects, your Chrome browser can give some protection even today. As noted by folks at AndroidPolice, the latest stable release of Chrome browser has a hidden feature to block redirects generated through a third-party iframe. You just need to go to "chrome://flags/#enable-framebusting-needs-sameorigin-or-usergesture" from the address bar of your Chrome browser and then enable the option called "Framebusting requires same-origin or a user gesture". After that, a single restart of your Chrome browser will protect you from website redirects to some extent The hidden feature is available across all major platforms, including Android, Chrome OS, Linux, macOS, and Windows.